I spent the Christmas holidays in warm San Diego. Both Wednesday’s and Thursday’s temperatures broke records, clocking in at 80+ degrees on the beach! We took a drive over to Coronado Island to enjoy the sunshine and let the dogs run around on the dog beach area. Of course, I brought my brand new camera for some practice shots. Walking the path to the beach, I shot this photo of the Hotel Del Coronado. The hotel, built in 1888, is an enduring landmark in San Diego. 90 years later my high school senior prom was held here. 38 more years later, I’m here on Coronado Beach enjoying an 81 degree day in late December. Resilient indeed. 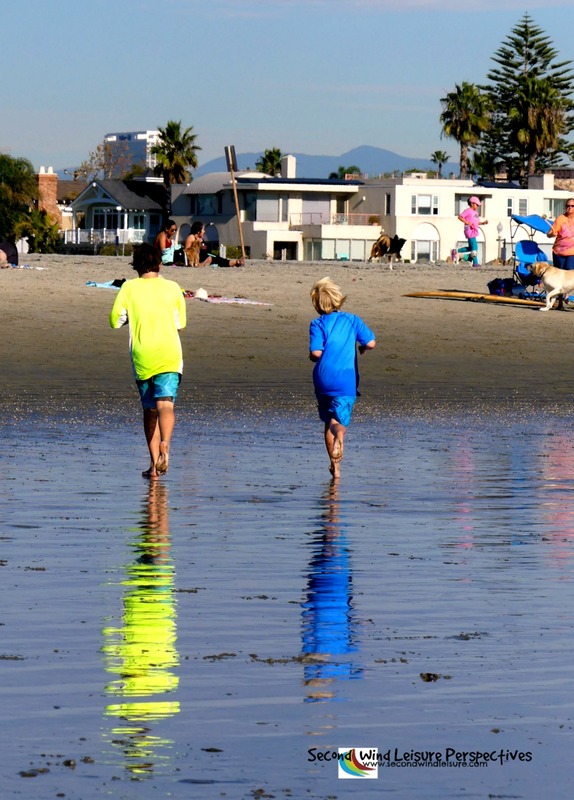 Kids easily create their own Path as they cavort around the beach on Coronado Island. I hope you survived enjoyed the holidays. Please consider joining the WordPress weekly photo challenge held each week beginning Fridays. Why, thank you! I played with it today in some new settings and can zoom to beat the band!! I’ve been to Coronado Island and you’ve given me a chance to relive the memory. Also living the memory of a warm day which I won’t experience again for a few months living in Maine. Beautiful photos. It is beautiful! Maine sounds lovely even in winter! I also have a “past” at the Del! I love San Diego and we try to get there once a year. Failed last year, but maybe this June for sure. Oh good! You will get there in time for June gloom! Coronado gets sunny faster than the other SD beaches for some reason! I’m jealous of your prom destination. Mine was in dirty west Texas on the sagging second story overcrowded ball room of the Hilton. So, you have a new camera and you’re already taking beautiful photos with it, Terri. Click away. I know the Hotel Del Coronado. We stayed there back in 2010. I even have a framed poster up on the wall of the hotel. Thanks, Hugh! I’ve never stayed there but it is an amazing place in which to walk around! I so plan to see that place next month when I’m in San Diego! Wonder if they will let me do a review for the penthouse suite :). You are going to LOVE it there! Looking forward to a post or two about your experience. Love your photos Terri. 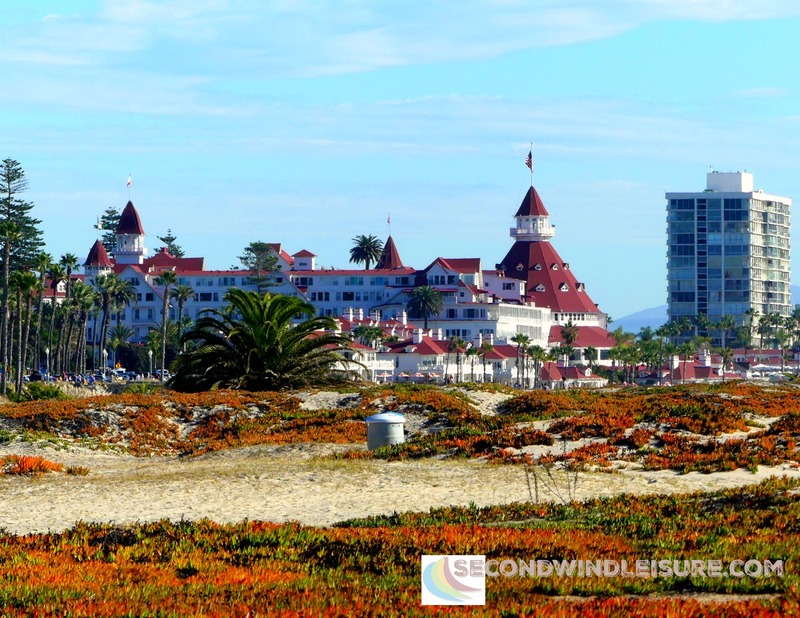 Coronado is one of my favorites places to visit when staying with my daughter in San Deigo. Love the Hotel del Coronado and had the privilege of attending an event there last year. Such a wonderful place to spend some downtime. Love and Light! Hi Sue, Happy New Year to you! Thanks!! I love the photos. I visited San Diego and Coronado about 16 years ago. It was fascinating. Thanks! I’m trying! And oh, yes, this is a great camera, and I still have my arms and legs, LOL! You are making me jealous with those temperatures! Welcome back in rainy and chilly Sacramento! Did you get the camera for Christmas? Nice work!! Did you meet up with Janis? It was amazing! Got back the 30th to the rain! Yes, Janis and I had lunch! Coronado is so beautiful (as is your picture). I also had my senior prom there (a couple of years earlier than yours). My first grade teacher lives in the high rise shown in your picture to the right… she bought her condo when they were just being built and she was a fairly new teacher. All these years later, she’s still there and loving her view. Yay, senior proms! How cool your teacher friend lives there still. That must be a spectacular view! Oh, thanks, Judy! I sure am! Brilliant photos, Terri. Thanks for rementioning the WordPress Weekly Photo Challenge. Yes, I must admit, it was a slow down, although, I didn’t post anything for several days. I did some lurking, liking and managed a few comments! Thanks, Donna! Thanks, PJ! Nice to have a great camera!